12.5 Inch Widescreen & The OLDTIME Digital Picture Frame! Why Choose OLDTIME Digital Photo Frame? OLDTIME Is A Famous Brand Of Digital Photo Frames For Sales, After-Sales Service And Research More Than 10 Years! 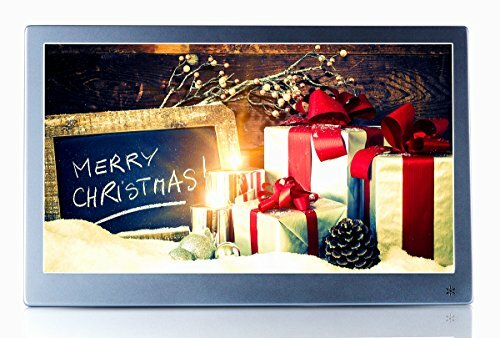 The OLDTIME Digital Picture Frame, Displays Your Treasured Photos And Memories, Let Your Photo And Video Tell The Story Of A Captured Moment.Buy The Best Digital Photo Frame To Show Your Best Memories! The OLDTIME Digital Picture Frame Is Very Easy To Use, Just Insert A Storage Device Such As A USB Flash Drive Or SD Card With Photos Into The Photo Frame, Turn It On, And The Slideshow Will Automatically Start. ✅STORAGE:With 8GB Memory, Support U Disk, MMC/MS SD Card, MP3 And Other USB Devices Up To 32GB Easy To Operate, Insert One Memory Card, And You Can View Your Photos. ✅OTHER FUNCTIONS: Alarm Clock, Calendar, Time Switch Function, Auto Slideshow Feature, Built-In Speakers And Headphone Output Jack.Control Mode: Manual Buttons, IR Remote Control Or Auto-Play When Power On. If you have any questions about this product by OLDTIME, contact us by completing and submitting the form below. If you are looking for a specif part number, please include it with your message.